Landscape Lighting Installation with Lifetime Warranty! The Best Solution. Living in South Florida provides us the opportunity to enjoy the outdoors year round. The beautiful weather allows for diverse vegetation and flora to thrive. 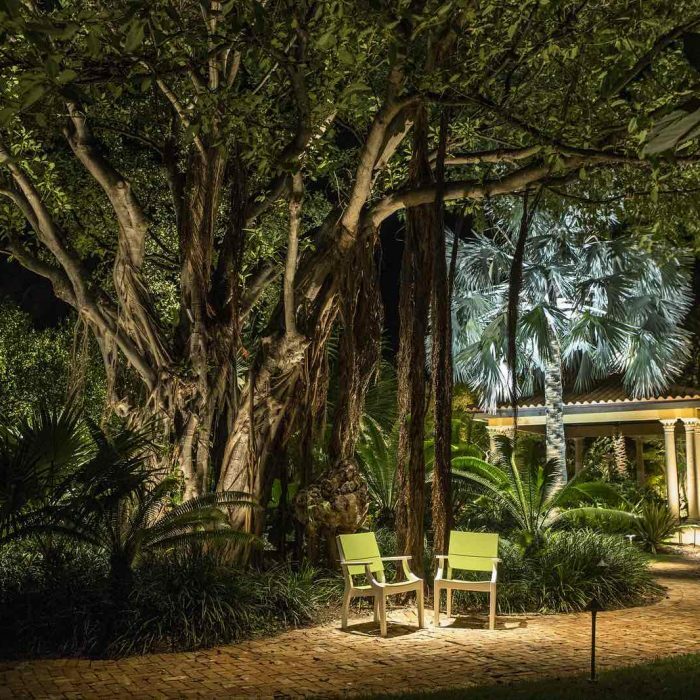 A professional landscape lighting installation allows you to enjoy your yard day and night. Highlight your home’s features and increase your curb appeal with properly lit landscaping. Unfortunately, when most hear the word LED and landscape lighting they picture solar powered fixtures. We’ve all seen these inexpensive plastic lights that look like they have a solar panel glued at the top. 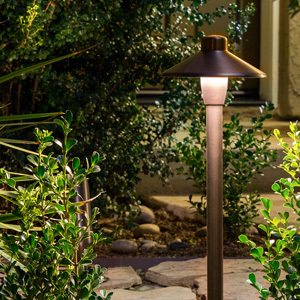 These fixtures don’t have enough power to light up anything significant in your yard. They also don’t have a very long lifespan. 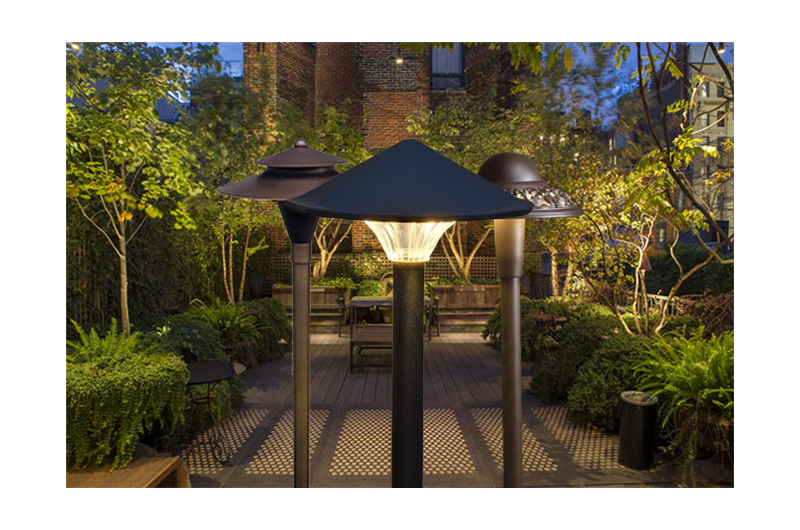 FPA uses the best LED landscape lighting system in the market. Not only does it use a fraction of the electricity that traditional lighting systems use, but they are customizable. After a professional lighting system design, the correct fixture type, wattage, and color are chosen for each location of the yard. 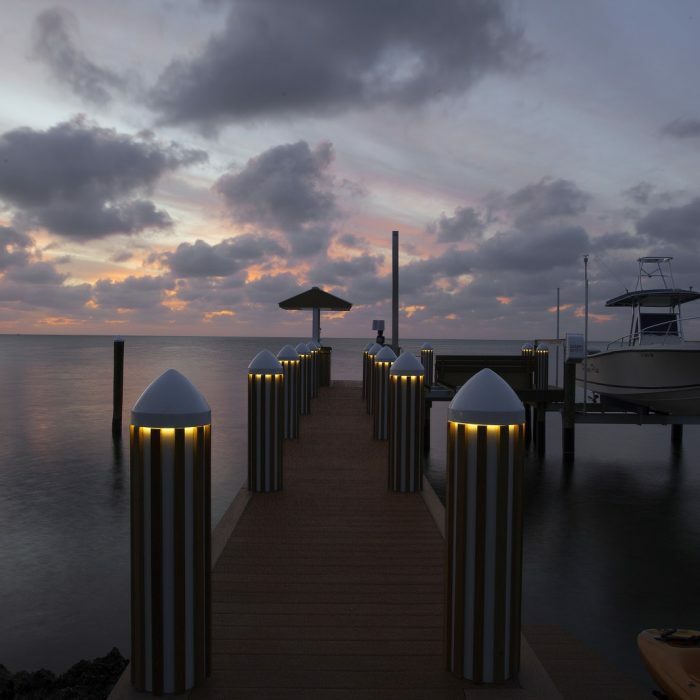 Our landscape lighting install will truly bring your home to life after the sun sets. Above all, our landscape lighting includes a lifetime warranty that covers everything from the fixture to the transformer. That is sure to bring peace of mind to all home owners. The entire fixture is constructed of solid brass right down to the nuts and bolts. In other words, you will never again worry about corrosion damaging the finish of your landscape lighting installation. The only thing you will ever need to replace is the bulb, but LED’s last far longer than traditional halogen lighting. Even the wiring is worry free! The connection points in wiring are the #1 cause of failure in landscape lighting systems. As a result, our connectors are built to seal completely to eliminate water corrosion. In short, if you take pride in your home’s landscaping, you shouldn’t settle for poor lighting. Trust professional landscape lighting installers like FPA!